Debunking solar energy myths: It's bad for the environment | West Coast Solar, Inc.
One of the main reasons homeowners choose to have solar energy solutions installed – aside from the fact that these systems help them save money on their utility bills and pay for themselves over the course of several years – is for the environmental benefits. In recent years, reports Media Matters for America, a progressive research center, people have come forward trying to claim that solar energy is “dirty” due to the amount of power used during the construction process, but the facts suggest otherwise. A 2012 study from the Department of Energy’s National Renewable Energy Laboratory (NREL) reveals that it takes only one to four years for solar panels to repay their initial energy investment. Considering the fact that the life expectancy of a photovoltaics (PV) system is up to 30 years and generating electricity in this way produces no greenhouse gases, emits no pollution and uses no fossil-fuel resources, it’s clear that the long-term environmental benefits outweigh the upfront power requirements. There are additional concerns that solar development in the desert leads to the release of carbon dioxide, but again, this is overshadowed by research from University of California-Riverside that shows that carbon savings each year far exceeds the losses. 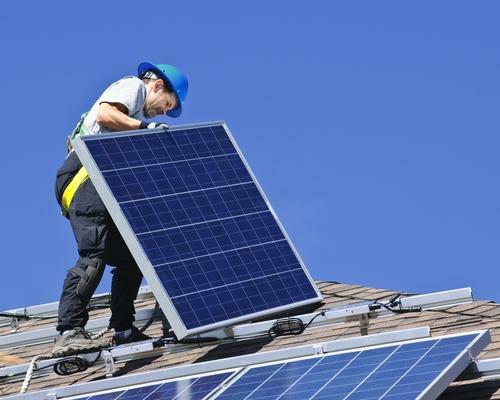 If you’re thinking about investing in solar energy solutions, it’s best to get in touch with a company like West Coast Solar, whose knowledgeable staff can take you step by step through a fully integrated construction process. We have an extensive background in the roofing industry and will take care of the entire installation to guarantee that you’re getting the best quality products and services. We’re also happy to answer any additional questions you have that may help inform this important decision.